Thank you to everyone who made EZRocks Five-4-Five 2017 an amazing event! ​Thanks to all our sponsors and volunteers that made EZRocks 2016 NBD ROCK!! 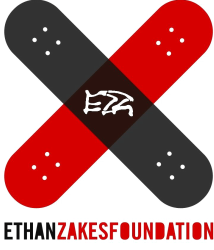 EZROCKS is an annual PRO/AM skateboarding competition founded in memory of Ethan Zakes. The goal of this event and the Ethan Zakes Foundation is ALD awareness and mandatory, national newborn screening, that will save lives of children born with this disease. "Ethan's Wish" tells the story of Ethan Zakes, a boy who died too young of a rare disease called ALD (Adrenoleukodystrophy), and how his family teamed with the local skateboarding community to raise awareness of the disease and promote mandatory screening that will eventually save the lives of young boys everywhere.